Whenever a new footballer joins a football team, be it in the professional game or even a side with a few mates down at the local park on a Saturday morning, they usually have to put any pride aside and muster up the courage to sing in front of their new teammates. 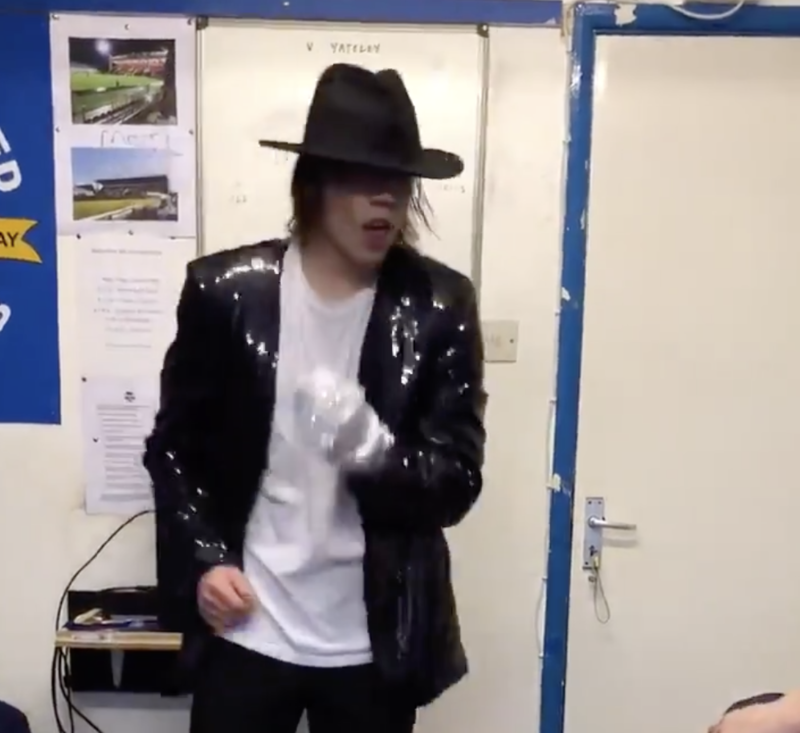 That’s exactly what happened at amateur side Liphook United where Richard Hunter, the player in question, chose to perform Michael Jackson’s ‘Billie Jean’ in full ‘MJ’ get-up for his initiation song and, somewhat unusually, absolutely smashes it. We salute you and your confidence, Richard!